Have you heard the GREAT news? 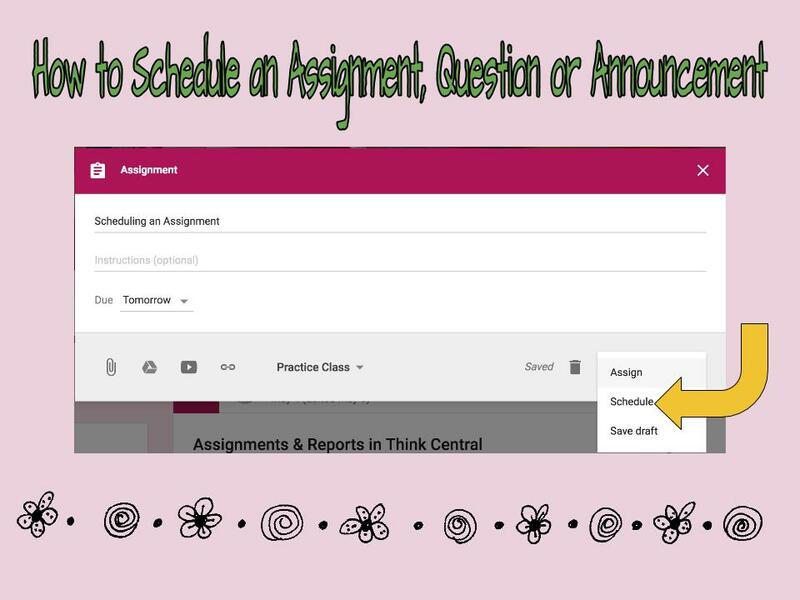 It is now possible to schedule assignments, questions and announcements in Google Classroom. Gone are the days of students getting a head start on an assignment from a lesson that hasn't even been taught yet. Gone are the days of creating a draft assignment and then having to go back in just to click assign at the appropriate time. Even worse...forgetting to move the assignment from draft to assigned! 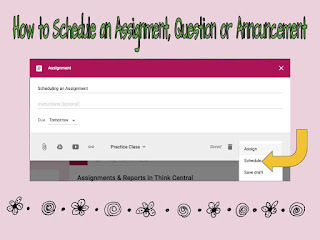 Scheduling an assignment, question or announcement is as simple as clicking on the drop down arrow next to the Assign button. 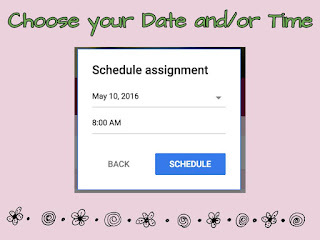 Choose schedule, then your date and/or time and - voila! Your work is done. 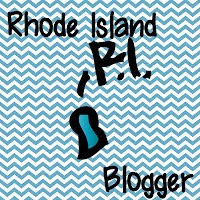 This is definitely a time saver for educators and nothing's better than getting our work done as efficiently as possible. 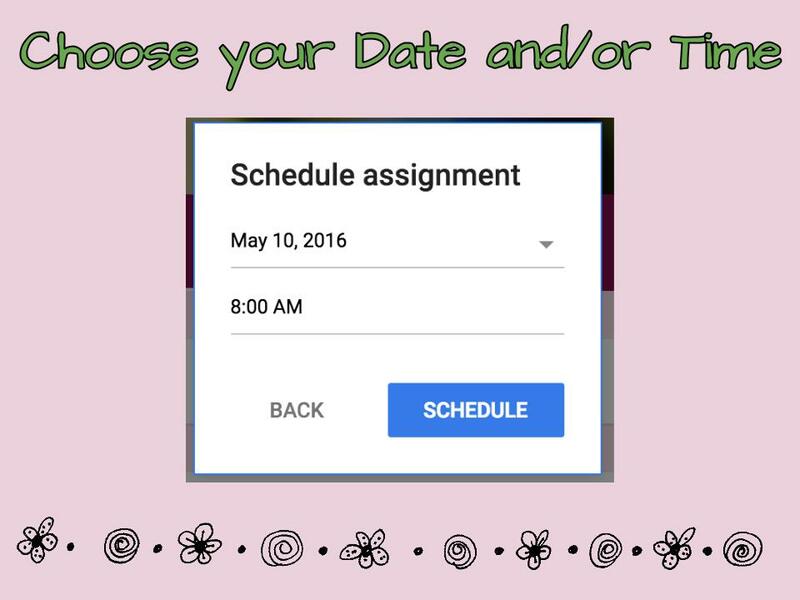 Yes scheduling assignments in class save time for both teacher and student also teacher can help student in task.